Teavana Fine Teas and Tea Bar, 3428 N. Southport Ave., closed Sunday after one year in business. SOUTHPORT CORRIDOR — One of the first Teavana tea bars — and the only one in Chicago — abruptly closed Sunday after less than two years in business. Teavana Fine Teas + Tea Bar, 3428 N. Southport Ave., shuttered Sunday, and crews were emptying the store into Monday. The company confirmed the closure Monday evening. "As part of the normal course of business, we're always evaluating the stores' portfolio, and we decided to close the Southport tea bar," said Teavana spokeswoman Christina McPherson. Teavana is among the top priorities for Starbucks, which bought Teavana in 2012 in an effort to capture more of the $125 billion global tea market. "We've been pleased with the performance of Teavana overall," McPherson added. The tea bar opened in April 2014 in the former Bell Studios soon after the tea bar concept's debut in New York in October 2013. At the time, Teavana had plans to open 1,000 bars within 10 years. With the Chicago closing, five tea bars remain in New York, Seattle and Beverly Hills. Unlike mall locations of Teavana, the tea bar was designed like a cafe, featuring signature tea lattes, breakfast food and flatbread sandwiches. One Chicago Teavana remains at Water Tower Place, 835 N. Michigan Ave. 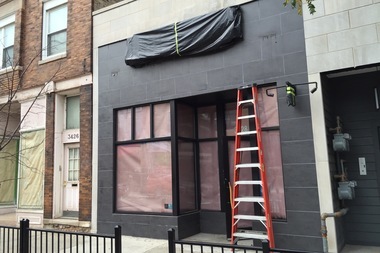 In May, it was rumored that Teavana could be opening a tea bar at Clark and Diversey in the former Hanig’s Slipper Box in Lincoln Park. McPherson could not confirm the rumors Monday. Teavana was one of the latest national chains to open on the Southport Corridor, joining Gap, lululemon, Anthropologie, Francesca's and Noodles and Company. Construction plugs along on 3423-25 N. Southport Ave., which will house J. Crew on its first floor across from the former Teavana. While shopping on Southport south of Addison is largely corporate, local eateries remain the norm: Corridor Brewery and Provisions draws nearer to opening, and the owners of Crosby's Kitchen are planning a ninth restaurant next door.